These days you need a credit card to rent car, book a hotel room, secure an airline reservation and a lot more. Sometimes you can use your debit card to do these kinds of things but even when that is a possibility it can involve extra fees and extra hassles. A credit card is also one of the best ways to build up a good credit rating so that you can secure great rates on bigger financial products like a mortgage or a car loan. Applying for, and being approved for, your first US issued credit card is a somewhat different process than it was just about a decade ago. The US Patriot Act, enacted in the wake of 9/11 meant ID requirement became just a little tighter and the way that many people used to obtain their first real credit card, getting a student credit card has also become a lot harder because of changes that were laid out in the Credit Card Act of 2009. In order to get an unsecured credit card of any kind in the US you need a permanent, verifiable address and a verifiable social security number. You need to be at least 18 years old and have a verifiable source of income. 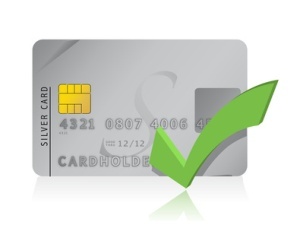 Most credit card companies will want to know that you have a checking or saving s account in good standing as well. And then there is your credit rating. If you are a younger person applying for a credit card chances are that you do not have much in the way of a credit record at all, even if you held down a part time job in high school and had a steady income of your own and paid taxes on that income. There are prepaid credit cards available today that can be issued in the name of a person who is under the age of 18 (they have to be over 13) that are funded from a parent or guardian’s bank account. While these are a great tool in terms of convenience and a teen can have the income from a part time job loaded to them unfortunately none of those available right now will do anything to build up a credit rating. In days gone by the mailboxes of every college freshman in the US used to overflow with offers for a credit card. Those days are over now though and if you are under 21 you can no longer qualify for your own credit card unless you have a reasonable, verifiable source of income of at least $300 a week or so, a bit of a stretch for a full time college student. The alternative is to have a cosigner with a good credit rating vouch for you but that option will end at the end of 2011 as well since the Credit Card Act will no longer allow students to have Mom or Dads income taken into account to get a credit card account of their own. So, most high school grads are now in a bind. They have no credit score, student credit cards are getting harder to be approved for and without a credit card building credit is going to be hard. You could try asking Mom or Dad to add you as authorized user on their credit card account which at the moment as long as they have a good credit score will to a certain extent have a positive impact on your FICO score too. That practice is controversial though and a lot of banks and lenders are calling for it to be halted because they feel it gives a false picture of a young persons creditworthiness. Another older piece of advice when it came to qualifying for your first credit card was to get a store card to build up your credit first. Unfortunately that is harder these days too as the economic climate has forced lenders to tighten up their requirements, even for store cards. This then leaves secured credit cards. As long as you are over 18, have a social security number and can put down the required deposit you can get one of thes3 cards and yes, using it sensibly will help build your credit rating up. Try looking for one that offered by a lender that also offers unsecured credit cards as well as they are more likely to offer to upgrade you to these products once you have demonstrated good fiscal behavior with their secured card. Both Citi and Capital One offer good secured credit card products and as two of the biggest US issuers of unsecured credit card products you will have a lot to choose from when you do get to that point. Many people wonder if there is a magic number that their credit score has to reach in order for them to qualify for an unsecured credit card. Many would say that it hovers around 620 or 630 but credit score is not the only factor lenders consider. Debt to income ratio is a factor but for a younger new credit card applicant that may not be such an issue. One word of warning – be careful how many credit cards you apply for. Too many credit applications at once can damage your nice new higher credit score and affect it adversely for 12 months. Do your research and choose one, at most two credit cards to apply for. If you are turned down you have the right to be given the reason, so you will at least know what you have to work on to get approved in the future. Leave it for a few months before trying again though so that you do not harm your credit record.